Bronwen will be running 2 workshops of 45 minutes each on the above dates. 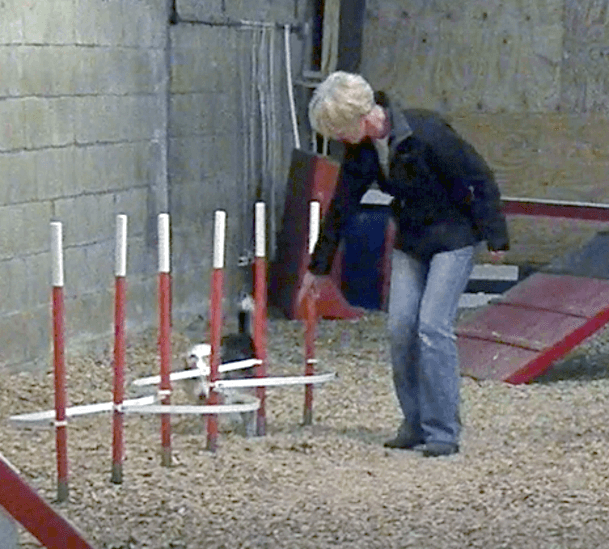 The objective of the workshop is to give your dog some concentrated training on weaves and slalom jumps (jumps at an angle with in and out commands) which is just not possible in a normal lesson. Places are limited to a maximum of 6 dogs per workshop and the cost is £10.00 per dog. This workshop is aimed at dogs with low levels of training who can do wide training weaves but would like to move on to narrow training weaves and be introduced to jumping a slalom set of jumps.. This workshop is aimed at dogs with a good level of training and that can do normal weaves but are not consistent, or are still following hand signals, or are too slow. It is also aimed at increasing the angle of slalom jumps.